I wouldn't have given much attention to this Swedish artist whose stage name reminds me too much of crap manufactured stuff like Jessie J and whoelse with such logo as a name if it wasn't for the buzz around, pretty good reviews and articles about everywhere, from Pitchfork (1) to The Guardian (2). Besides, her music was described as a mix of soul, electro and powdered-sugar pop (3). Whatever, this sounds like tons of other shallow teen idols all over the music business. Concerning her stage name, it's actually her real name Li Lykke Timotej Zachrisson slightly transposed. Then maybe there's some sincerity around. With this overproduction of records all around, I don't think I'm the only one sorting out artists with such superficial 'lookaround'. Good I was wrong once again. Lykke Li's music is nothing like soul, electro and sugar pop, even if it contains all these elements. A contradictory statement which mirrors this paradoxical album on many accounts. Her first album aptly titled "Youth Novels" (2008) sounded like some icy minimalistic Lilly Allen without the ska influence and with an immature often too mannered girlish voice which spoiled a good part of an otherwise good, yeah, pop album. That's more pop like Young Marble Giants than Kylie Minogue, but the vocals are somewhat misleading : it's all sweet, sugary and shyly seductive, or coyish. In many ways she also sounded like some more reserved and less funky Annie, the Norwegian synthpop artist who is cool to dig (cool, because she got style and really infective grooves). But underneath this apparent lightness of delivery there was already some darkness sleeping, a melancholy. Despite the wide use of different percussive instruments, the overall mood is that of introspection and dream states. A song like "Dance Dance Dance" offers a good example for this impression. With such title, added to some prejudice, one would expect steady funky or techno beats, but this song sounds more like a girl willing to dance than actually dancing, in any ways she's pretty lonely, "dance dance dance I was a dancer all alone" and shy "My hips they lie 'cause in reality I'm shy, shy, shy". With her second and last album "Wounded Rhymes", Lykke Li shows herself as a more confident, grown up and somewhat extravert 25 year old young woman. The first thing to notice, she got rid off her mannered girlish voice, and it sounds immediately lower and even more menacing like on the opener "Youth Knows No Pain", where Lykke Li seems to answer her own first album full of a young girl spleen by something like 'that was nothing, now it's getting serious'. The latent darkness sleeping in the basement of "Youth Novels" has awaken on "Wounded Rhymes". Lykke Li is like a wounded animal who's ready to roar, but not quite yet. The second thing worths noticing are the percussive instruments which are far more up front in the mix. More percussion than beats, there ain't no beats to speak of on this album, just loud tribal African drumming which goes even Drummers of Burundi on "Jerome". 80s bands like Adam and The Ants and Bow Wow Wow comes to mind, but Lykke Li's sound has few to do with that recent 80s revival, even if the song "Get Some" is pretty close. If there are any influences arching back to the past, it's in the sixties one has to look for, mostly those girl groups produced by Phil Spektor, mostly on "Rich Kids Blues", its wall of sound for the digital age, intersperse with frail Suicide synth and quite punkish vocals as well as on the next song "Sadness is a Blessing", which could have been another title for the album. Here and there, surely on "I follow Rivers", Lykke Li gets close to some friendlier Fever Ray aka Karin Dreijer Andersson from the annoyingly hyped The Knife. This link to the soulless Fever Ray is rather interesting in my opinion on a more anecdotic level. Fever Ray covered Nick Cave's "Stranger Than Kindness", one of the only original songs in Cave's songbook to be written by his oldest and ever real muse Anita Lane. Well, Lykke Li's voice timbre and limits are extremely reminiscent of Anita Lane, "Dirty Pearl" (1993) era, without the Brigitte Bardot's sexiness for sure. Lykke Li's even approaches Anita Lane's reverberated manlike backing vocals on the beautiful and sad "I Know Places" or "Silent My Song", and one could almost expect Blixa Bargeld or Mick Harvey to appear anywhere in the mix. Finally, Lykke Li, underneath the plethora of African drums and near Phil Spektorian girl group harmonies, is a folk singer, and a folk singer of the lonesome kind. "Unrequited Love" could be a cover from The Handsome Family with some gospel flavors, but it works very well as a Lykke Li's song. The already mentioned "I Know Places" (4) is even one of the barest most minimalistic folk song heard in a while, a very simple three chords acoustic guitar progession all along, very sparse vibraphone and her very subdued quite nasal vocals performance, without forgetting the haunting backing vocals. This song ends with an instrumental coda which surreal soundscape makes me think of Nick Cave and The Bad Seeds' coda to the last song called "Lucy" on his "The Good Son" album. I suppose linking Lykke Li to Nick Cave and past collaborators could look slightly exaggerated if one forget about Anita Lane. She succeeded to involve this guys into rendition of soul-funk classic hits like Marvin Gaye's "Sexual Healing" and Sister Sledge's "Lost in Music" while stripping them from their clubbing attraction to transpose them into some decadent filthy Berliner ballroom. Lykke Li's take on so called sugar pop music on her second album "Wounded Rhymes" shows some similarity of results, maybe more than that of purposes, except that her music is less claustrophobic and more open on the outside world, in a desertic if secluded landscape, and a sky that high but unfathomable because the sun went down awhile already. "Wounded Rhymes" was written and recorded during Lykke Li's six month stay in Los Angeles area where she regularly visited the desert, rewatched Alejandro Jodorowsky's 1973 film "The Holy Mountain" and listen to Alan Lomax field recordings (5). There's one very subjective gripe concerning this album : Lykke Li's voice is not very touching, it remains distant and icy, and it seems like she's sharing this with most of her Swedish compatriots (surely Fever Ray and the unbearable overhyped Robyn), contrary to their Norwegian neighbours who are generally far more affecting and even warmer, more soulful. Just noticing. 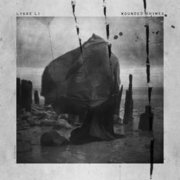 Nevertheless, "Wounded Rhymes" is a pretty good album, and if the music and Lykke Li's vocals sounds depressive, it's never depressing. The production is very impressive, sometimes a bit invading, but always detailed and deep. Björn Yttling (from Peter Bjorn and John's fame, guess which one he is) produced this thing, he also worked on Lykke Li's first one. Both Lykke Li and Björn Yttling have made some exceptional improvement in three years time, mostly Li whose vocals gain much more confidence and focuse. But like the first album, Lykke Li remains very difficult to pinpoint in the music business, it's highly personal. Now I would just need some more feeling and soul to be even more satisfactory for my sensitive ears.